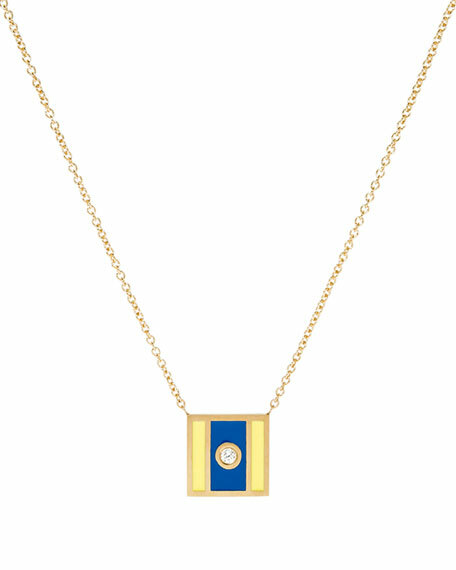 Code flag square pendant necklace by K Kane. Maritime flag signal for the letter D.
Polished 10-karat yellow gold hardware. Integrated flag pendant with diamond. 0.02 total diamond carat weight.